A Dairy Of A Mesowarrior. Living With Mesothelioma No Internet for over a week. The journey to the Marsden was the worse journey we have ever had. 3 hours of dark at 6am, heavy rain, lorries and spray, and stopped traffic. I hope we never have it like that again but with a bad winter being forecast I bet it was the worse. We relaxed in the waiting room and was called for bloods very quickly so we felt we were all caught up. The nurses were all cheerful and we were soon laughing again. Saw the doctor and everything was good with my bloods but the Biological ones were not done yet. So we had a walk and bought our sweets as I love to buy things there as the profits go to the Marsden Charity. The shop is run by volunteers. We went back to the waiting room where a mesowarrior had arrived. I had already told a nurse that they have a warrior coming for assessment to a trial. She was amazed I knew and and that we are so together with this disease. We are as there is nothing like our groups as Mesothelioma. We share so much info and we are getting recognition with in the NHS. They now come to me to share info with the Mesowarrios. 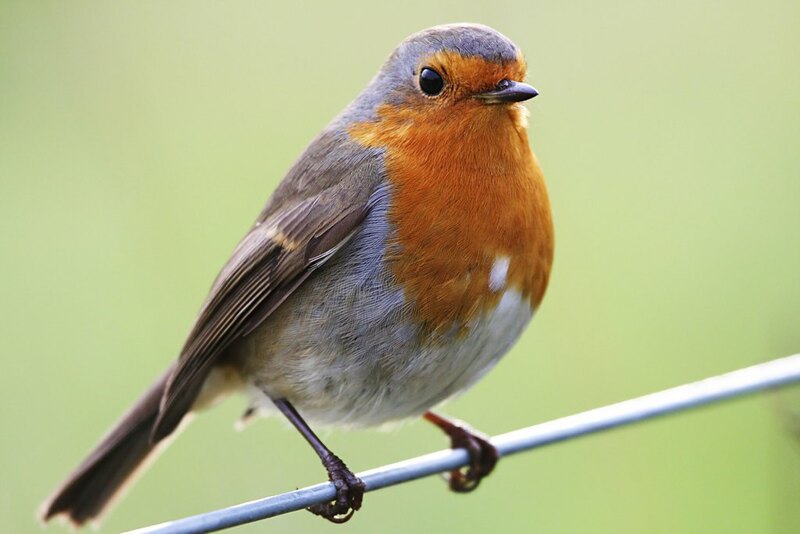 Very proud of my friends’ as we are now helping in giving our opinion on trials and I share surveys for the NHS to collect info Or British Lung, or Mesothelioma UK they are learning from us all the time here in the UK. Its good that something good can come out of something so bad. The curse of Asbestos. Anyway we had a long chat in the waiting room with our friends so the time went by better. They went after chatting to the doctor and Ray and I fell asleep. This waiting and waiting grrr. The Nurse kept popping in and saying that they had tried but there was nothing yet. At 1pm she said the Doctor came and said the bloods had been passed. So he ordered the drug to be made up. I finally was called in at 3.30 to sit and wait in the ward and made us a cup of tea. As there were 3 of us in the same position it became a tea party and Ray became the waiter. The lady sitting next to me was playing bridge on her iPad so I gave her Rays puzzles to do but the signal was bad so she couldn’t play, she has them for home. 4pm my drug was up and they checked it in and weighed the bag everything has to be checked. Weight, quantity and all the numbers. Its very thorough, 4-15pm The drug was going in. HOORAY!!!!! It was explained to me that the results didn’t come through all together on the computer so they had to wait for when they did. I didn’t know why that happened but Oak Ward is just as frustrated with Pharmacy. They have the worry everyday. I only have every 2 weeks to worry about. Then on top of that the ward is so small and space is tight. Everything is moved about to get room for each patient as they attend to them. Its a constant battle and I sit there and observe and watch. They really are marvellous as they work in such closeness all the time. And they always smile and are so cheerful. When I wanted to use the loo we had to move a stool and a trolley and then when I came back I had to re move them –Crazy. Well I was finished so I said goodbye and it was wonderful to get into the fresh air as the sun had come out. We left at 5.15 at the M25 was running well so we kept on the move, sometimes slowly, until the M20 and then congested but moving again. We arrived home 6.45pm gosh what a long long day we were exhausted. I couldn’t believe the road to our Park. It must have been raining again very heavy as drains had waterfalls coming out of them, spraying up high in the air and water pouring out of gardens. Thank goodness it was if it was on flatter land they would have really flooded. The roads were and we slowly drove through the water. Through the hedge we could see the Marshes were flooded. So much rain and its like a monsoon when it pours down. We got in and Ray had to take Louis out for a walk —more like a swim. I got the dinner on. They the Internet went down. We have a fault on the line -Great the end of a perfect day. Thursday and still no line mended so no Internet and of coarse no land line. They know where the fault is so we are waiting for an engineer to go to the Exchange and work on it. 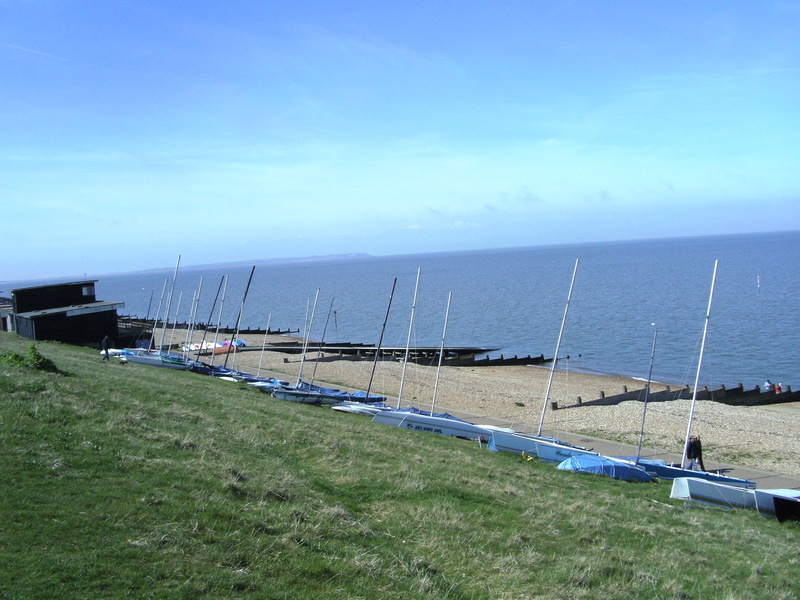 We have an Old exchange at Whitstable and we have had many problems over the years. Last time this happened a Engineer from the Midlands was transferred here and he was brilliant. After years of dropping out and slow signals, he found that the cards where not man enough for the increased traffic. The Internet whizzed along when he had finished. We have since been slowing down again though and now a final stop. So many people have super fast fibre optics after having the roads dug up to lay the cables. That all stops just out side the Park as they say we come under rural. Crazy really when people across the road are on the super fast and we are on super slow old fashioned cable. Anyway Lynne has just phoned Rays mobile to say Richard has passed for the new Verastem trial which is great news and so we have another Mesowarrior at the Royal Marsden. We will only meet now and again as Richards visits are every three weeks so we go out of sync. His is a tablet trial and I have seen there cancer patients on the trial and they are having good results so I wish Richard a great success. So our day is waiting to get back on the computer and talk to the outside world again. Gosh you feel so lost my whole life is waiting on a signal. Friday and still no phone or internet getting very cross now. The housework is all done Ray has finished painting the bathroom we are now looking round for what else we can do. We found we had a Lounge last night to watch telly as we are always in the Den with the computers and hobbies. You realise that everything is on the computer and up in the cloud. What did we do before computers. Ah yes ZX81!! We didn’t have a Commodore but we had a Spectrum and the Amiga and gradually worked through the years with what ever came out as Ray loved all new Technology. I will get on the phone soon and ask where or Job number is today. I’m getting very cross. I did get my laptop out but nothing is passworded in and my password seem to be muddled where I keep changing them to keep spammers out. That was meant to be me as well. So when I’m back on line I will be writing all my pass words down and making sure my lap top and iPad have all my programs on them in case this ever happens again. You learn lessons. We need a better Dongle as well. I have a phone but I never use it so another thing I must sort out. You see I thought my life was over. Survival was never spoken about 6 years ago. I realised that this is going to be the basis of my speech at the Mesothelioma UK Conference next week. We can now talk about Survival. So with the freezer defrosted I can go and shop for a reload something to do rather than planning what I could do to BT ha ha !! Chased the BT Engineer but although the fault was found so fast there has been no news on the fixing. Might be today. We have been shopping to fill the freezer and parked in B&Q car park but as we arrived there a huge lake of water confronted us. The car park is still flooded after all the rain Tuesday. We diverted around it but a man in in a four wheeler dived straight through it with a wave each side going high into the air. I laughed and said to him “ What would you have done if it was deeper than you thought.” Oh I have had water higher than that.” But he didn’t know if it was a hole that was causing the flood. It could have been one of those sink holes and he could have disappeared. My mind imagines to much I think. 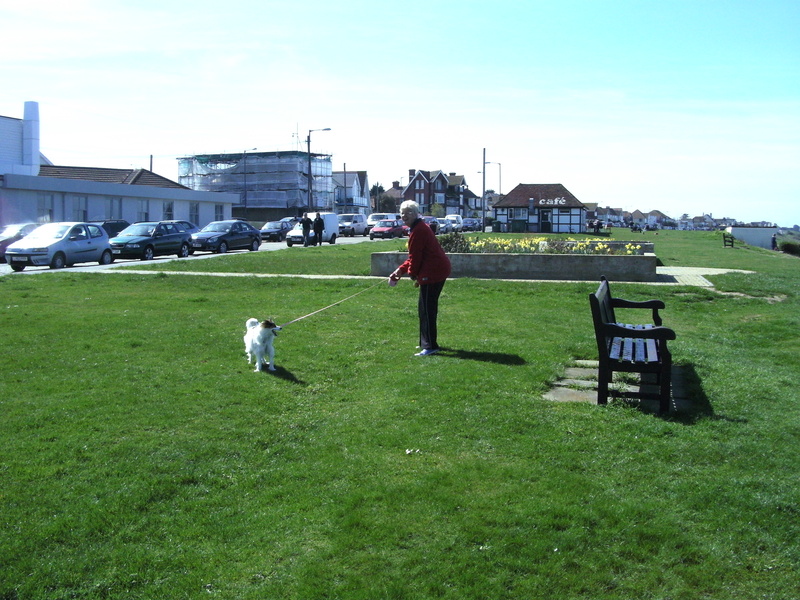 I went and did our shopping and Ray walked Louis. When we got home I looked in the den and wanted to see all the lights on the Modem alight but know just 4 flashing and trying to connect still. I cant believe this. We pay for a service and now we have had no phone since Tuesday and no one is saying when we will be back on line. 6.30pm Friday and not a happy bunny. Its is a lovely sunny day and we should be away but once again the rally has been cancelled due to soggy camping site. We have an appointment for the flu jab anyway and guess what? Its between 5pm and 6pm at the GP’s Where is this not working 7 days in the NHS that Jeremy Hunt keeps on about. 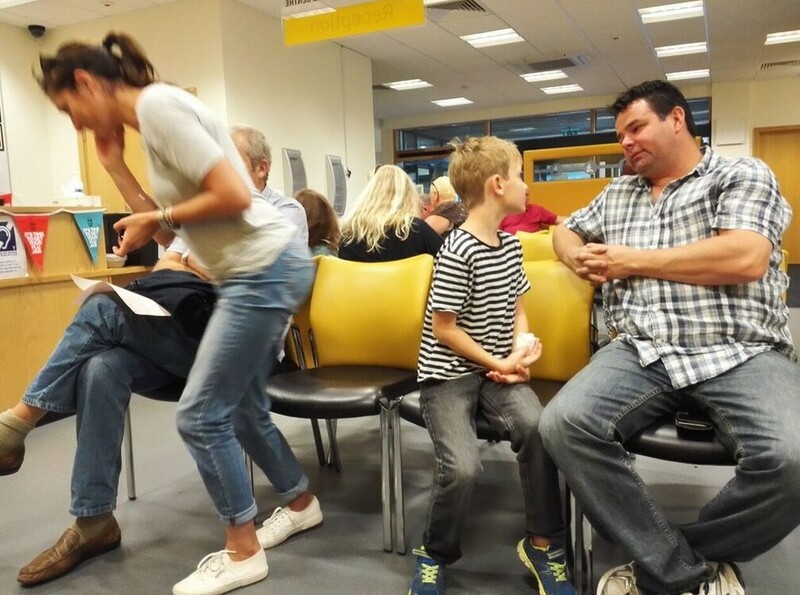 The NHS is working 7 days right through from Hospitals to GP surgeries. I wonder if Mr Hunt is working today ?? So we have got the washing on and housework done, dog walked and maybe get into the garden. Ray is trying to find a human in BT as everything is push 1 push 2 extra extra and you come back to the beginning again. We have a feeling we are being left to last as we are not actually a BT customer but a Pop Telecom customer so you have no contact within BT at all. They say our phone number isn’t even valid ?? When we are back on we will have to go back to BT as this is not on. I’m on a Phase 1 trial and I have to be in contact with the Royal Marsden. OK we have a mobile but its not the point. Not everyone has a mobile, but we pay for a phone line and it should be working. I hate non service when you are paying for it. I hate the fact that no one is in contact with us to tell us what is happening, or not. The Engineers should be in the area so they could pop round and let us know. Or a card in the post but just leaving us so we don’t know what is going on is so frustrating. So the saga goes on and on. 10 am Ray has found a human and only because he is switching back to BT. He has been very helpful and we are now know we are going to have the Super Broadband, as they are going to put our park on it soon, but at the moment we have to make do with 2 meg. We have never had that as 1.5meg is our highest so we will be whizzing along when we get the fibre Optics. The only thing is he said that when you need engineering work for a fault it is given a time of 2 weeks depending on how busy they are. We didn’t know that so we have been wasting our time looking at winking lights and hoping they will come stable and a phone line back. Open Reach are not BT as we had thought anyway so we still have not got to a human about our fault. But we will be back with BT on 16th October. Sunday and we have finished tidying the garden and everything is looking good for the winter. Feel really pleased with ourselves. The weather was just so lovely. Dog walked and watched several films so a pleasant day passed. Right Monday today we will be on that phone and blasting that we need the BT engineer to sort the fault on the line. A week is just not on. I did wake up at 3.30am and saw the super moon and it was blood red. A fascinating thing and I was seeing it all from my bed. We must be facing the right direction. If only we could see the shooting star shower so easy. Gosh by the time I copy and paste this into my blog it is going to read like a story I do hope I haven’t bored the reader. Must admit my ribs were very painful last night, on the left hand side. When feeling around I have a very misshapen rib cage on that side. A couple of paracetamol and I did sleep though. We have to get ready to go to the Mesothelioma UK Conference so will travel up on Thursday to Stratford on Avon and Im looking forward to meeting old and new friends. Louis will be dropped off at his favourite place and stay with my Son and DIL. He is severely spoilt there. So now we are sitting around and waiting to hear if we are going on line today. Wednesday The Open Reach man has been and we did have a phone and internet for 5 mins then it went off and now on so will post before we lose it again He found that the heavy rain had got to a cable joint. The calm before all the people crowd down for a nice day at the coast but we had it all to our selves. We bumped into a old neighbour who had moved away into town for more convenience. I didnt recognise him as we shopped as he had lost a lot of weight. I had spoken to him as I came round the tight aisles. Then at the till I asked if he wanted to go first and he said “I know you”. “Bill blimey I didn’t realise”. I went out of the shop and called Ray and took Louis from him. “Go in there is someone you know there” ha ha !! they had a chat together. You just never know who your going to bump into. 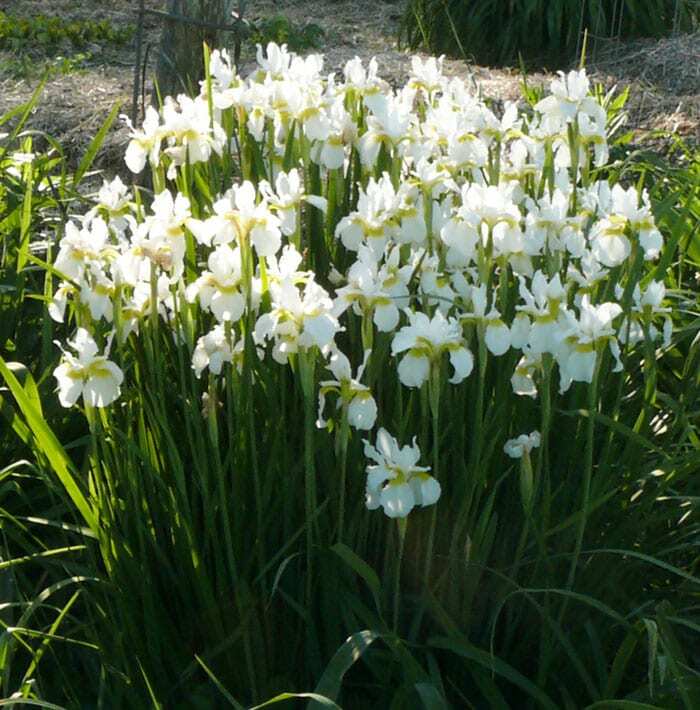 and the Iris’s have been cut down now. Just a few plants and 3 bags of cuttings down to the skip. They have been so lovely and gave us a great show this year. For all the working in the garden I haven’t seen a huge spider just little baby ones -much to my delight. 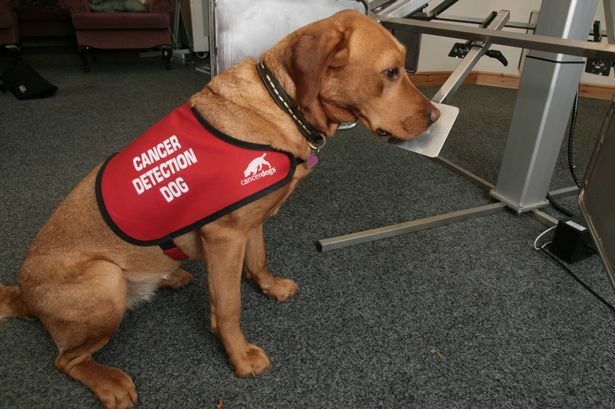 Mesowarriors were having a discussion this week about how our dogs had smelt cancer. There are several of us that had this happen with our dogs. The Vet said that Louis is so protective of me as he must have smelt I had cancer. A barking Tory peer has flagged up the cost savings of having dogs sniff out diseases compared with training new doctors. Pooches have a sense of smell up to ten million times more sensitive than humans and can be taught to detect conditions including cancer and dangerously low blood sugar in diabetics, the Sunday People reports. But quizzed on the merits of using them in medical roles, NHS productivity minister Lord David Prior told peers: “The cost of training a dog is some £11,200, considerably less than the cost of training a doctor. The minister’s astonishing remark came as NHS England awaits the results of a three-year trial of prostate cancer-­detecting dogs at Milton Keynes University Hospital. Now I agree with the article but to replace Doctors well that must be a bit tongue in cheek surely.?? asbestos-based products as a natural way to seal cracks. the shipbuilding, automobile, space, electricity and metallurgy industries. Although these replacement products do not exhibit the full range of properties and uses of asbestos, when used appropriately these alternatives are much safer and do not pose a threat to our health. That last sentence worries me. I hope they are working and experimenting for a full range. 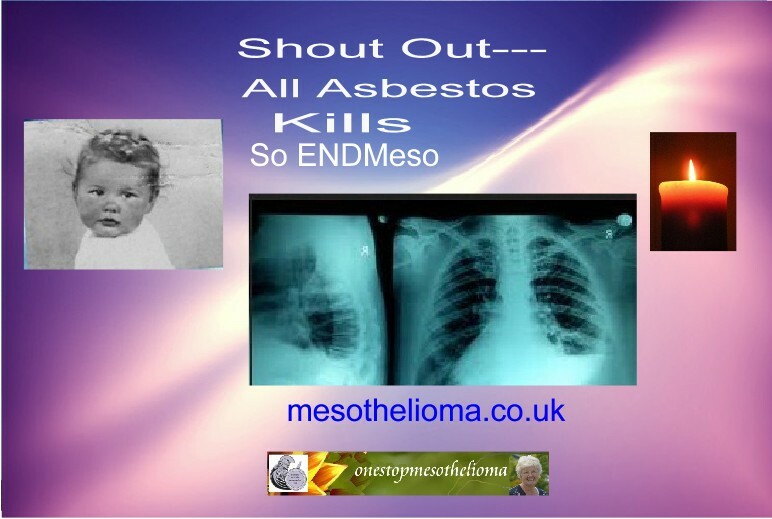 It is Mesothelioma Awareness Day we really must push for USA to ban Asbestos. Smaller countries are joining us in banning Asbestos why does the US hesitate. A day of being here for people who are so desperate with their illness. So many want help so I advise and give my opinion but I always say talk to you oncologist.I have had 6.5 years experience of it now I think we Mesowarriors are the experts at just what its like to be diagnosed and the journey in front of these wonderful people who have found themselves on the pathway. We understand the pain and suffering of the patient and the carer. And I have another warrior coming to the Marsden. We will be able to have our own club meeting soon as we are growing. Mind you I can see this Carer trying to pinch my Greek God and my Australian Skippy —-I will have to kill her.ha ha !!! We have to grow web feet soon to get around here in the UK. It’s not the fact it rains it’s the fact it buckets it down so heavy that it cleans the car wonderfully every-time, even the mud comes off from where we go to the park. .We had just decided to go shopping and the dog was all happy about that but then the heavens opened.and flashes of lightning and the rain turned our road into a river. We held up until it stopped. Off we went and Teco was flooding so I had to slosh through the water where there were no trolleys as no one wanted to go out to collect them, I don’t blame them. Mesowarriors Barrie Ackland and his partner Suzanne Bowditch, both 60, of Yeovil, said their vows at the Old Abbey, on Preston Road, after 22 years of engagement. A couple both suffering from cancer put their chemotherapy on hold so they could fully enjoy their wedding day on Saturday. A reception was held for friends and family afterwards at the Old Barn, on Old Barn Way. 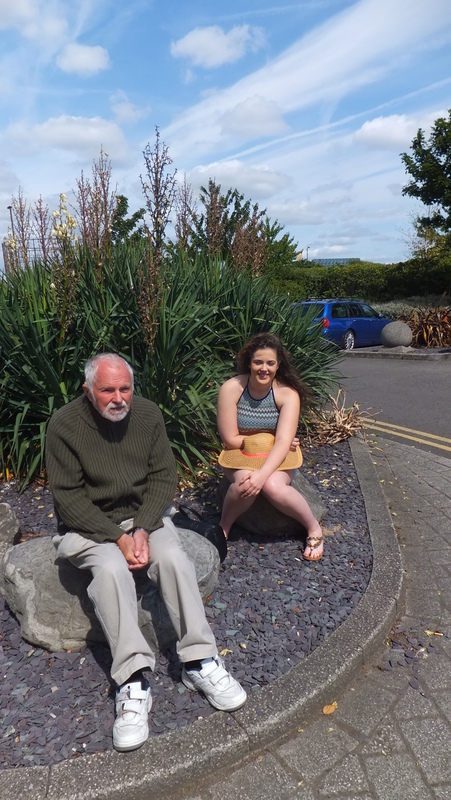 Mr Ackland, who works at Valmiera Glass in Sherborne, was diagnosed with the terminal, asbestos-related disease mesothelioma on July 7, within days of his partner learning she had lung cancer. We wish them happiness and congratulations to such a brave couple. Controversial plans for an old asbestos site to be turned into a certified caravan park in West Yorkshire, have caused concern among locals opposed to the idea. According to reports, owners of the old Acre Mill asbestos site in Hebden Bridge, Calderdale, have applied to the Camping & Caravanning Club for it to become a certified site for up to five caravans and ten tents, with basic facilities for chemical waste and the disposal of waste. Local Lib Dem councilor, Janet Battye, who is also opposed to the plans said: “I’m really surprised that there’s any possibility of this happening. Although it apparently doesn’t need planning permission, there may well be Environmental Health concerns about any use being made of this site other than for grazing. Hundreds of people in Calderdale have reportedly died from asbestosis after being exposed to the deadly dust, mainly contracted after working at the mill, which was subsequently sealed off and demolished in 1979. I have emailed the C&CC as I’m a remember and we do camp. I know how children dig, fire pits are dug and Motorhomes churn up a field in the mud. Dogs dig and sniff and they do suffer with mesothelioma as well.Why would they risk such a thing. They say it is will be a CL but rally fields are often on a CL site and if a holiday rally was run it would mean so many units would be on the field. It is hard to get all the asbestos from a huge site like this. If it was paved over and a new build on well maybe but not a camping site. We are seeking information on the management of asbestos in schools and are requesting that one UNISON rep from each school complete this short survey. 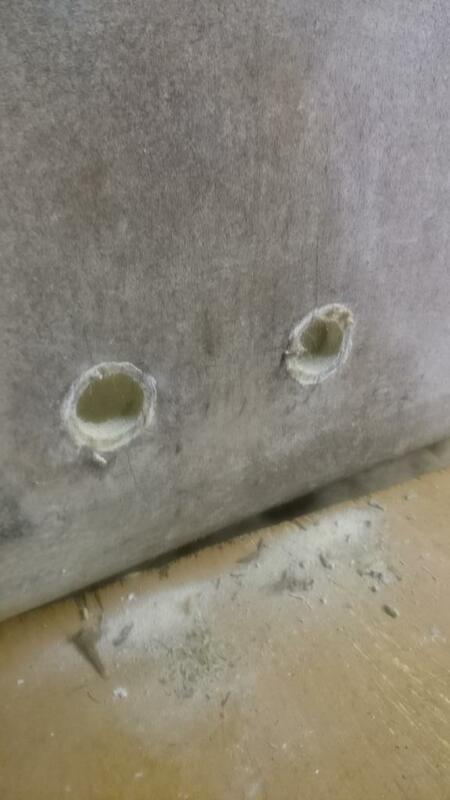 This is to establish a picture of how asbestos in schools is being managed. More than 75 per cent of Britain’s schools contain asbestos. Much of that is badly maintained, meaning that children and staff are exposed to this killer fibre. Over 140 school teachers have died from mesothelioma in the past ten years. An unknown number of cleaners, admin staff and caretakers have also died. The number of children who have died as a result of exposure to asbestos while at school is unknown but in the US it was estimated that for every teacher’s death nine children will die. That would mean that over 100 people die every year in the UK as a result of exposure when they were at school. Under the Control of Asbestos Regulations 2012, schools must maintain and regularly update an asbestos register with the location and condition of asbestos-containing materials in the school. Another one was a bigger shock to me as we had Marley tiles –we put them down in our house in 1969. Red and white and the passage and kitchen looked so smart. We had even knocked a wall down to make the kitchen bigger —Oh dear if only we had known the dangers. Brilliant there are things moving again. This Bill is expected to have its second reading debate on Friday 16 October 2015. This Bill is a Private Member’s Bill. These are often not printed until close to the second reading debate. If the text is not yet available here and you wish to know more about this bill please contact its sponsor, Chris Heaton-Harris. I truly believe that if this Bill was law now Ketruda would be fast tracked through. The results around the world are good for some people. There are other drugs as well that are doing well and so we need them all fast tracked and lets get going on treatment for Mesothelioma. We are all Palliative care so we need more licensed drugs. Alimata is the only Licensed drug and people have been involved with Mesothelioma for so long with their hands tied. We are really getting some wet weather and Im so bored with it. I sorted the wardrobes out today and bagged up more clothes but Louis got it into his head we were packing up to go in the Motor Home. A very on edged little man all morning. 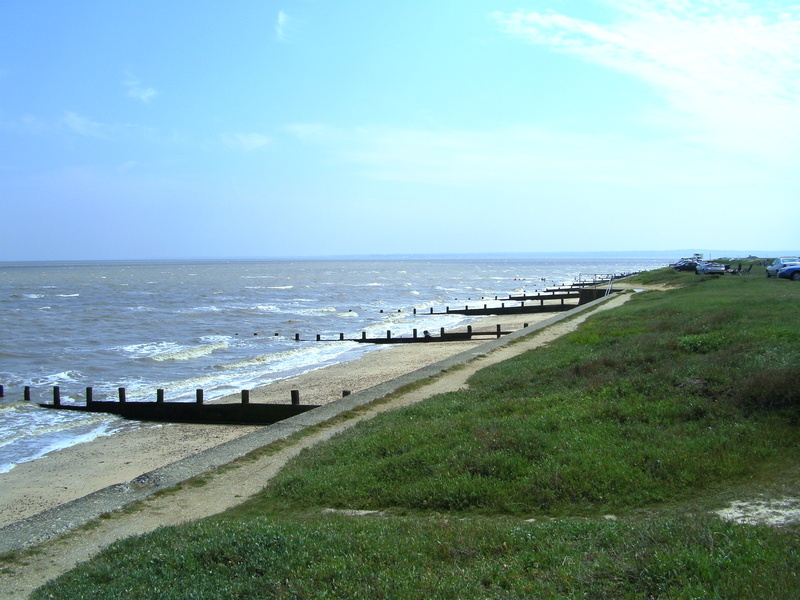 After lunch we went off to Tankerton where we always go and low and behold the Container has been moved. Back into the car to go to Sainsbury Car Park where I hoped there was another one. I spotted one on the way so we turned round and dove back. I was pleased to get the bag in as I couldn’t take them home I would only fill my wardrobe back up again. We walked on around a road and louis stopped and we realised we were outside the house of my friend’ she rescues dogs and she asked me to help Louis, although his name was Shiner then. I can’t believe he remembers after 8 years. There was a ball there and he grabbed it and carried it off. Everywhere is flooding and we had to splash through huge puddles.Its really pouring down again so Whitstable and Hernebay will be in trouble soon. Have a look on You tube i found these two Videos showing the production af Asbestos products. Im beginning to really like the visual pictures and firms as you really get a better idea of asbestos and the way people worked unprotected. How terrible as they knew the danger and they still today take a risk with people’s lives. They owe it to us to put as much money as possible into research. They owe it to us to find a cure as it is these companies fault that people have died and still are dieing through Negligence and lack of knowledge to the workers.No wonder I nag and keep on I will not stop until we have been listened to. No 1 is for the US Congress to Ban Asbestos. Then Maybe the rest of the world will follow. Asbestos was often used in paper products, and asbestos papers and other thermal paper products were commonly used as pipe insulation and insulation for machine parts. Asbestos gaskets used in engines, pumps and other types of machinery were frequently made of thermal paper created with asbestos. Disturbing or handling asbestos-containing paper will release asbestos fibers into the air. Breathing in or ingesting asbestos fibers can cause the development of an asbestos-related illness such as asbestosis, lung cancer and mesothelioma, a rare cancer. Thousands of workers involved in the manufacturing of asbestos paper products were often exposed to asbestos. Those who mixed ingredients to make asbestos paper were exposed to high levels of asbestos fibers, as asbestos dust often resulted from the process. Thermal asbestos paper was used for electrical insulation until the mid 1980s. It may have been used as insulation in air conditioning units and was often used as backing on floor tiles and combustible board. Corrugated asbestos paper was often used as pipe insulation and pipe wrap. This clip is from the 1962 film, Heat and Its Control, from the U. S. Bureau of Mines, in cooperation with the Johns Manville Corporation. The film is about the importance of controlling heat, chronicles man’s use of heat-energy sources and explains radiation, convection, and conduction heat transfer. The film shows heat insulation production from magnesia, rock-wool, asbestos and celite (diatomaceous earth). The entire film is available at the US National Archives in Maryland. Magnesia pipe insulation is made from magnesia alba or magnesium carbonate which is an inroganic, inert product that was for many years used in medicine (milk of magnesia) and in other various manufacturing. In 1885 Hiram M Hanmore, a pipe coverer, began to mix magnesia with other pipe covering materials. In about the same time manufacturers of magnesia for medical purposes also began to discover the insulation capacity of the fine, white magnesia powder. Experiments soon were under way mixing magnesia with many materials in an effort to find the best insulator. Asbestos fibers was one of those materials and it acted as a binder to give strength and cohesion to the magnesia sludge which then could be cast or molded into standard shapes and dried. The optimum mix became 85 percent magnesia and 15 percent asbestos fibers. The principle type of asbestos fiber was chrysotile though amosite and crocidolite were also used. 85 percent magnesia pipe removed today after nearly a half a century or more is in just as perfect condition as when it was originally installed. Johns-Manville Corporation was founded in 1858 as the H. W. Johns Manufacturing Company of New York, N. Y. and was based on the principle uses of asbestos as fire resistant roofing material. In 1886 the inception of the Manville Covering Company of Milwaukee, Wisconsin was founded on the principle uses of asbestos as a heat insulating material. In 1901 H. W. Johns Manufacturing Company and Manville Pipe Covering Company merged to form H. W. Johns-Manville Company of New York, N. Y. The company was reincorporated as Johns-Manville Corporation in 1926. Between 1900 and the mid 1980s, asbestos was used in over 3,000 different products. 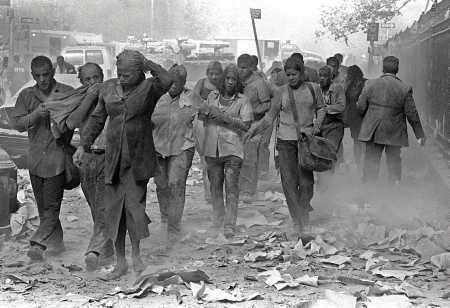 During the 20th century, more than 30 million tons of asbestos were used in industrial facilities, homes, schools, shipyards, steel mills, power plants and commercial buildings in the United States. Asbestos is term used to describe six naturally occurring minerals with similar properties. In the simplest of terms, asbestos is a rock mined from the ground. Asbestos has several key physical properties, including its durability and resistance to heat and combustion. It is also fibrous in nature, which allows it to be spun and woven into cloth. Most chemicals do not affects asbestos, and it is also does not conduct electricity well. Asbestos is an extremely fibrous mineral and mining, milling, processing, or use of asbestos and its products create many small fibers. Because of their thin shape and small size, the asbestos fibers easily pass through the body’s natural defenses designed to trap debris within the respiratory systems before reaching the lungs. Once inside the lungs, the asbestos fibers slice into the sensitive tissue causing irritation and scarring. 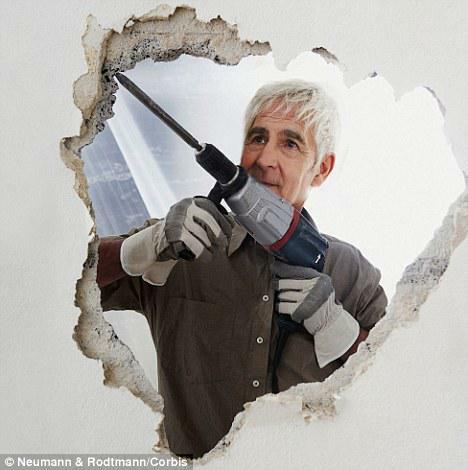 Because asbestos fibers are so durable, the body is not able to break them down to remove them. Once in place, the fibers continue to generate scar tissue, progressively damaging the lungs; extensive scarring can lead to the development of asbestosis. Asbestos may also cause the development of mesothelioma or lung cancer. Under the authority of the Clean Air Act, the US EPA banned the use of most spray-applied surfacing used for fireproofing, insulation and decorative purposes and thermal system insulation for wet-applied and preformed asbestos pipe insulation and preformed asbestos block insulation on boiler and hot water tanks. For more information about asbestos and asbestos-related disease, go to http://www.mesotheliomacenter.org/res… . Properly insulated buildings reduce energy consumption by keeping heat in during the winter and out in the summer. Vats, tanks, vessels, boilers, steam and hot-water pipes, and refrigerated storage rooms also are insulated to prevent the wasteful loss of heat or cold and to prevent burns. Insulation also helps to reduce the noise that passes through walls and ceilings. Insulation workers install the materials used to insulate buildings and mechanical equipment. In making major renovations to old buildings or when putting new insulation around pipes and industrial machinery, insulation workers often must first remove the old insulation. In the past, asbestos—now known to cause cancer in humans—was used extensively in walls and ceilings and to cover pipes, boilers, and various industrial equipment. Because of this danger, U.S. Environmental Protection Agency regulations require that asbestos be removed before a building undergoes major renovations or is demolished. When asbestos is present, specially trained workers must remove it before insulation workers can install the new insulating materials. This is clipped from the 1930(?) silent film, The Story of Asbestos, produced by the US Bureau of Mines with the assistance of the Johns-Manville Company. The entire film is available from the US National Archive. A Kent hospital’s A&E unit is unable to cope with the number of patients arriving during busy periods and is putting them at risk, the Care Quality Commission (CQC) has revealed. 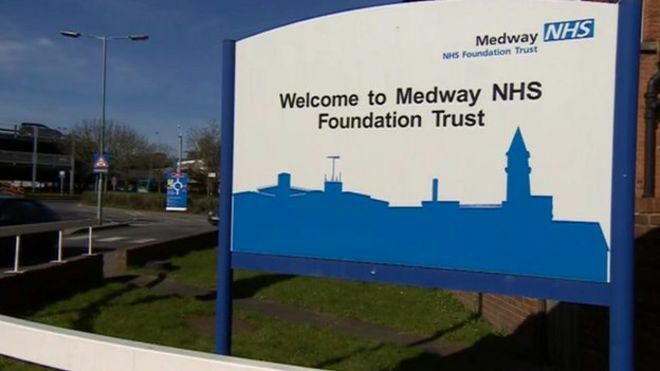 Medway Maritime Hospital,in Gillingham, has been in special measures since July 2013 after it was rated inadequate. The CQC said it would be considering whether to use “urgent powers”. Its inspectors visited the hospital in August to follow up concerns identified in July 2014. The guardian wrote 30th October 2014 “.So ingrained is the NHS as part of British life that it’s hard to imagine it disappearing. But it can’t go on as it is: its budget is being squeezed while its costs are rising and people are demanding more from it than ever. We want ongoing treatment for chronic conditions; exemplary care for our growing elderly population; the latest drugs; the highest standards of care across the country; and the NHS’s founding principles – the provision of universal care free at the point of use – to be adhered to. As a patient rep, I have been involved with the inside story on the Cancer Network East Kent NHS the last 6 years. I can see that budgets have been cut and targets have been pushed forward. It takes money to make the NHS work. To be honest it shouldnt be run and funded by the Governments.as an ego trip or vote winner. Is there a solution to take this away from the NHS. I have seen governments change and that means new systems bought in to the NHS,(the same as schools) that takes money as each government changes things the way they want to run it. This should be taken out of the equation somehow. A governing body of medical staff so they know the needs. I have seen Holby City type management. As a patient I have had such wonderful care. Chemotherapy is the pits but they got me through 4 lines of Chemo. I have been given time to talk and explain all my worries. The CNS was always there for me and making sure I understood what was going to happen. Appointments to London Hospitals for operations and more specialised treatment. I always wanted a national database on trials and we have now got that. We have had new drug trials this year but there is so much talking and proving so many meetings to prove to the management that they are meeting targets and budgets. I sometimes wonder where the medical staff get time to treat the patients. “But the biggest innovation, the secretary of state said, ‘would be to have a system in which the patient would be the strongest voice in decisions about their care’. And perhaps if patients feel in charge of their care the NHS can help them be healthier throughout their lives. The emphasis should be on patients and not targets.But the Doctors and nurses should have the squeeze taken off. It needs to go back and hand over the running of the hospital to the Doctors and Nurses. Give them back the responsibility of the job. There is a huge problem with A&E in all the East Kent Hospitals. We need more walk in Centres like our Local Minor injury unit. I talked about Rays treatment over the weekend and that opened my eyes to the great job such a unit is doing. Every patients was assessed as they came in everyone was a genuine. emergency. The goal of seven-day routine GP opening in England is unachievable in this Parliament and risks destabilising care, the Royal College of GPs says. Ministers have promised that by 2020, people will have access to GPs seven days a week – and have pledged 5,000 extra doctors to help achieve that..
Health Secretary Jeremy Hunt has said he is “absolutely focused” on making seven-day GP opening happen. At the start of the summer, he reiterated the commitment made in the Conservative manifesto to recruit 5,000 extra GPs, while setting out what he said was a “new deal” for the profession. It included promises to look at making it easier to return to the profession or work part-time as well as floating the idea of financial incentives to encourage doctors to work in areas where there were shortages. Talks with the British Medical Association are due to get under way later in the autumn. Now reading this I’m beginning to see this could really work. We are in fact going back to a system of Cottage hospitals with these medical centres. We can go there for all the simple cuts and breakages and minor accidents, leaving hospitals freer for the more difficult illnesses, and Accidents. Change is Possible but lets give back to the Surgeons, Doctors and Staff of hospitals, Respect and Reward for the great service they provide to us. What a day it has been taken up with running around with rays appointments. He was awake at 5am making me a cup of coffee. Light on and telly on –60 minute make over at 5am -i just wanted 60 min sleepover. His leg was hurting so how could I moan as he has always been so good with me through my illness so now it was his turn. I was pleased to be able to get out and take him for his injection at 12.30pm. I walked Louis around and sat in the car to wait. i couldn’t believe how busy it was with cars going in and out all the time. Ray came out and said it was busy and noisy inside as well. We came home to lunch and then had to go back for his Ultra Scan 3.30 pm. We left Louis as I wanted to go in with Ray so I knew what was going on. It was still very packed with walk in casualties. 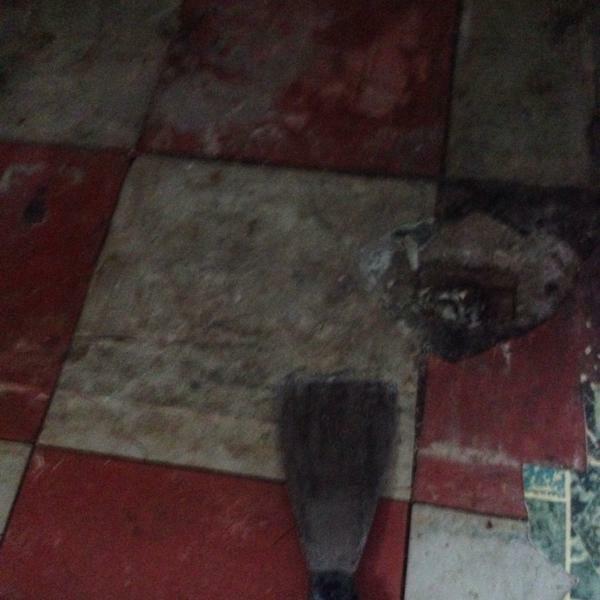 A lady had fallen at work and had hurt her foot. She was giggling all the time she was there. A man who had hurt himself 2 weeks ago and had just reported it. Silly as old wounds have heeled wrongly and will cause more pain. Then little boys in football kits with hurt arms. Little babies wit cuts on their foreheads. A brave little boy who had cut his finger at a birthday party and was proud to show me. Ray went in at last for the scan. The radiographer couldn’t find anything in the veins so asked Ray where did it hurt and then she found it. She marked it off to put it on rays computerised notes. He was in there for an hour as she was very thorough. Then we had to wait again to see the nurse practitioner. He explained the tablets that ray will have to take and gave him info on DVT. which usually occurs in a deep leg vein, a larger vein that runs through the muscles of the calf and the thigh. It can cause pain and swelling in the leg and may lead to complications such as pulmonary embolism. This is when a piece of blood clot breaks off into the bloodstream and blocks one of the blood vessels in the lungs. Rivaroxaban prevents blood clots forming in blood vessels by stopping a substance called Factor Xa from working. Treatment usually lasts for three months and involves taking rivaroxaban twice daily for the first 21 days, followed by once daily until the course ends. So that is it all the drama is over and the end of a worrying time. 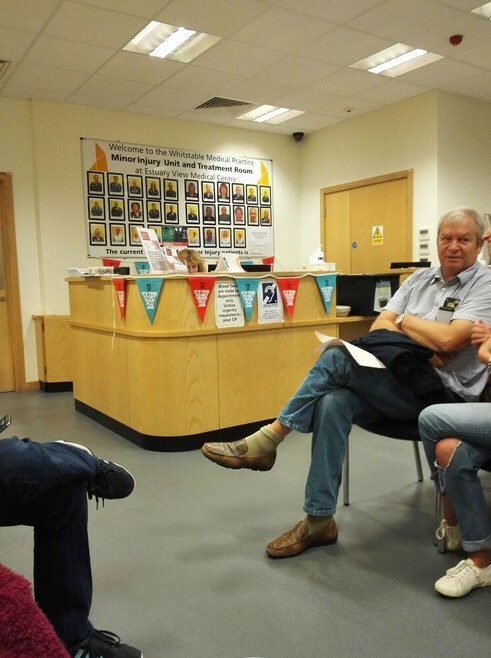 Mr Jeremy Hunt is so wrong as the NHS does work 7 days a week now and the Minor Injury units are open 7 days a week, 365 days a year from 08:00 – 20:00. They are so busy and are really helping A&E out. I didn’t see one person there just for the sake of it everyone seems to genuine cases from what I saw. Well done I was so impressed. Its no fun getting old. I was awake with the pain in my leg about 3 am. Couldn’t get back to sleep. Hobbled to the toilet twice. got up and made cuppa at 5 am we sat watching telly finally got up 6.30. I have to go to the clinic at 12.30 for another jab in the belly. Then 3.20 for a scan. 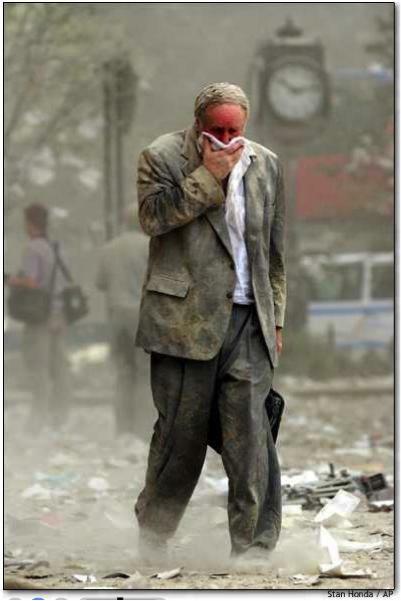 I just wanted to mark 9/11 to remember today all those poor people who were involved in the horrific day. Historical images of the World Trade Centre under construction show the use of deadly asbestos insulation. I know so many people died in front of us that day but how many will die through the years to date and through the years to come. 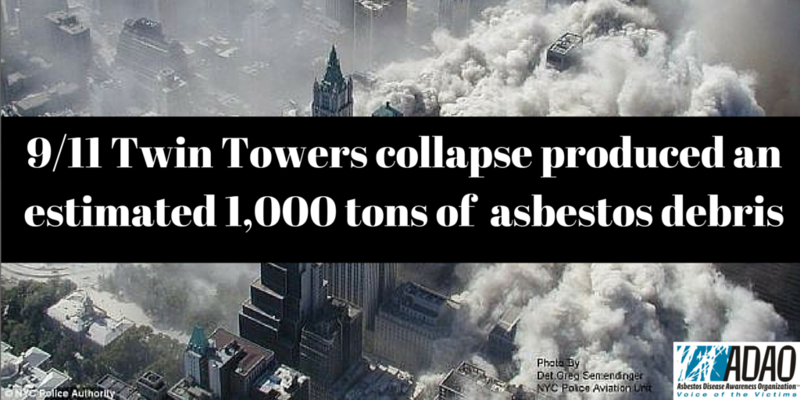 It is going to be thousands and we don’t know how far the Asbestos was carried on the wind do we.? I didn’t go with him so I was shocked to get a text from him saying that’s where he was and was having blood tests and now he has to go back tomorrow for a scan. Seems he has a might have a clot in leg. He is on clot busting drug just in case. We can’t wait until tomorrow and hope the Docs fears are wrong but once again they have really looked after him Well done NHS. I will go with him tomorrow. We went to walk the dog but he really can’t walk without a limp now. Bless its his turn again. At The Asbestos The Truth 2015 I saw a Presentation of the safety of Face masks when working with Asbestos. The men have to have their face measured regularly. If a man has any dental work done it changes the shape of his face and the mask will not have a true fit. understand that what I had never thought about is that if he goes to work with a stubble or a beard the fit of the mask is not correct. Now it is pointed out I can see it. So that must mean that all Asbestos Strippers or anyone working with Asbestos has to be clean-shaven?? I was in contact with A Friend Paul Chamberlan Director at Wefitrpe ltd Benfleet Essex So I asked him for information.
. • A clean shaven policy is hard to enforce, staff will normally shave for a “quantitative fit test”, but in the real world, days/weeks later when they need the mask for protection, they may be unshaven. • It is thought that facial hair such as beards or even being unshaven can significantly reduce the seal and the protection afforded by the RPE…. if employees can trim their beards so that the beards do not come between their face to respirator seals or interfere with respirator-valve function, then their use of the respirators would be acceptable provided they passed a proper fit test. So does that mean everyday their face beard has to be Measured ?? Im getting more and more fascinated as i read it. The statistical evidence shows that the measurements were reliable. It highlighted that 2 days of growth (by day 3) is sufficient to jeopardize the mask’s efficiency, even though things tend to worsen by day 12, however, the exact day of deterioration was inexplicable. • The results for Day 12 showed a significant reduction in fit factors for at least 50% of the volunteers, although, when analysing the data, only 15% of the fit tests failed the HSE protocol, this included all the unshaven tests. You just dont realise there is a science to it all but I must congratulate Centrica Energy for the Test results please see them at the link above It is very interesting and has open my eyes .